Finally giving the fans what they want, 2K ported a selection of modern classics this week, to a platform that spent many a restless night pining for them. Surely there can be only one game of which I speak? Sadly, Red Dead: Redemption continues to be hogtied to the rapidly shortening tracks of the last generation consoles, and no, has not being ported to the PC. Rather, Manhunt and Bully, two classic PlayStation 2 titles have been brought to the PlayStation 4, leveraging the 1080p up scaling and other graphical enhancements its emulation technology boasts. In addition to XCOM: Enemy Unknown Plus, on the PlayStation Vita, which contains the base game and the Enemy Within expansion. So XCOM:Enemy Unknown is finally out on Vita! I guess. I actually had no idea. Regardless, it seems like a great fit, so ENJOY! 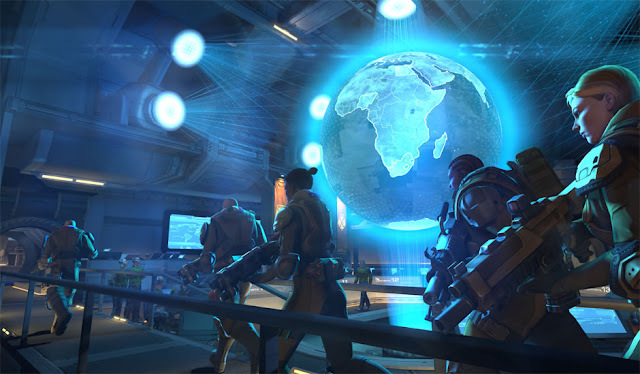 However, the XCOM release at least, surfaced on a Korean release site last year, a port of Civilization: Revolution 2 has also been announced for the PS Vita, but delayed without a firm date. I enjoyed the Endurance mode expansion, despite feeling rather dismissive of the challenge modes in the base game, and had a blast with the second add-on, Baba Yaga: The Temple of the Witch. That said I was careful to temper my expectation for the final piece, convincing myself it would be no more than some half-baked zombie survival mode – as it still may be. Although pleasantly, the description above implies exploration and leveraging of the systems that makes modern Tomb Raider so goddamn great, so I’m tentatively hopeful. A couple of weeks back 343 Industries outlined the next few months of Halo 5: Guardians support – the game has received monthly free updates, adding substantial modes, maps, and gear – their plans culminate in the Warzone Firefight mode. Firefight was of course introduced in Halo 3: ODST, refined in Halo: Reach, replaced by Spartan Ops in Halo 4, and lost entirely in Halo 5. While it’s not the completely new multiplayer experience the press release claims, it is advancing the wave-based Halo formula; taking place on the large-scale Warzone maps, it will allow up to eight Spartans to battle through waves of increasingly difficult enemies. This is the largest co-op experience in the franchise to date. It’ll also feature ‘Mythic’ bosses, more powerful than even Warden Eternal, as well as ‘dynamic objectives’ to mix up matches. Love it or hate it, Warzone Firefight will use the REQ system found in the other Warzone modes, it’s due to release this Summer. Last week the ghoulish horrors of the grave were risen to answer the call of Mannfred Von Carnstein and this week Creative Assembly gave a real look at what to expect from the Vampire Counts. Aside from showing of a host of Vampire Counts units, the let’s play below features a number of details likely to be of interest to veteran Total War players in particular; the unveiling of the spell browser, the new leadership system that replaces morale, and the devastating effects of cavalry, to name a few. Total War: Warhammer launches May 24th on PC.